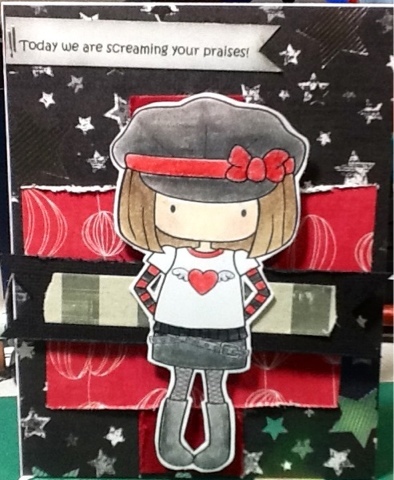 This 80s rocker came from Whimsey Doodles! They are definitely one of my favorite places to get digis! I thought with this sentiment that popped in my head it was a perfect combination! 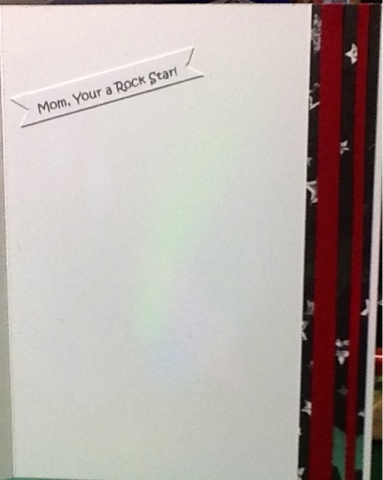 Inside the card it says mom, your a Rock Star! (Now, if only the pay was the same.....lol). Inside the card the sentiment "Mom, your a Rock Star! Was also cut like a double ended flag and glued. So darling, great sentiment. So glad you linked up with us at Whimsie Doodles!